The concept of One Health creates a framework for thinking about educating the next generation of health professionals, says Christopher Olsen, acting director of the Global Health Institute at the University of Wisconsin-Madison. 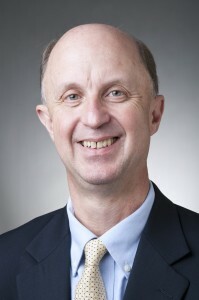 Friday, April 24, Olsen joins the Institute of Medicine Global Forum on Innovation in Health Professional Education to discuss “A global health workforce through a One Health framework.” The panel session in Washington, D.C., will be webcast live from 8 to 9 a.m. (CST) Registration is required. This is the fourth year the forum has addressed topics related to the future of health professional education. “This workshop focuses on how we should educate health professionals today to be prepared for the changing landscape of health care and public health in the future,” Olsen says. Such cross-disciplinary, integrative approaches are also critical as the health landscape changes, from who will pay for care to new technology to new categories of health care providers. The Global Forum on Innovation in Health Professional Education is an initiative of Institute of Medicine of the National Academies. The global health session is part of a larger workshop, “Envisioning the Future of Health Professional Education,” April 23 and 24 in Washington, D.C.
Olsen is also co-chairing the overall workshop together Mary Elizabeth Mancini, professor and associate dean at University of Texas at Arlington-Undergraduate Nursing Program. The workshop will explore recent shifts in the health care industry and implications for health professional education and learning. Rita Colwell from the University of Maryland and Laura H. Kahn from the One Health Initiative join Olsen for the panel that will be moderated by James Fox from the Massachusetts Institute of Technology.